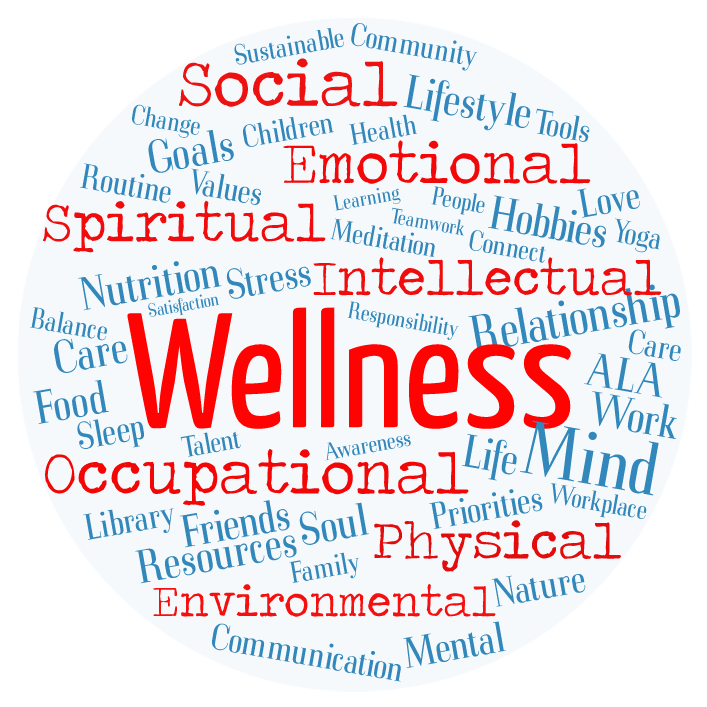 We’ve talked about different aspects of wellness here on the MS Conversations blog in the past, and this month as we’ve covered topics related to depression we also wanted to touch on factors of physical wellness too, because all of the elements of wellness can intertwine and are equally important. Living with a chronic illness like MS can make it difficult at times to have control over one’s physical health because of how unpredictable and unknowing the disease course can be. However, there are pieces of physical wellness that a person can try to maintain influence over, even though MS may have other plans in mind. Daily habits and behaviors can have great influence over one’s physical health and can include things like diet, exercise and sleep practices. With a disease like MS that can affect physical body function, maintaining consistent sleep or exercise routines can be challenging at times. It’s in these cases where people may need to get a little creative and modify/adjust practices to make things work for them. Working with healthcare professionals on symptom management strategies can help with this. Applying good habits to daily routines may improve physical health needs, especially with sleep practices. And though at this time there is no one specific diet known to influence MS and they continue to research this, maintaining healthy eating habits and a well-balanced diet can have positive effects on one’s physical nutrition. Each person is unique and what works for one’s physical health may not for another, so it’s important to evaluate behaviors and choices that can apply to your situation and what your needs are. Another part of this physical piece includes maintenance and follow-ups when it comes to one’s care. I don’t know anyone who necessarily “enjoys” going to the doctor or hospital, but it’s one of those things that has to be done sometimes. Making sure to see your doctor regularly, notifying them if you’re having an issue or experiencing changes in symptoms are all good habits to try to enforce when it comes to your health. It’s not always an enjoyable experience having to go to the doctor or having medical tests/procedures done, but it’s a way to ensure that you’re doing all you can to keep your care in check and to maintain control over this aspect of your health. There are even tools and resources to help keep communication flowing between you and your medical team for your physical care needs. Though physicality is merely one aspect of the entire wellness sphere, it remains a vital part that contributes to all of the other elements of wellness and to one’s overall care. This month’s recipe comes from MSAA Staffer, Emily O. Growing up, I spent most of my time after school at my grandparents’ house until one of my parents would be done with work. One of my favorite traditions from this time of year was helping my grandmother make her own homemade Irish Potato Candy as a St. Patrick’s Day treat. My mother loved Irish Potato Candy and, though we made the candy every year, my grandmother and I loved making it as a surprise for my mother. Years later, I still make the candy as a way of honoring both my mother and grandmother. Enjoy! In a large bowl, cream together the cream cheese and butter. Add in confectioners’ sugar a bit at a time until the mixture forms a ball. Stir in the coconut flakes with a (sturdy!) spoon. Spread ground cinnamon in a shallow dish or on a plate. You may need to repeat this process a few times depending on how coated you like your potatoes. Cover a cookie sheet with parchment paper or wax paper. Grab a small piece of the cream cheese and coconut mixture and roll in your hands to form a small ball (I usually make mine about the size of a quarter) and roll the ball in the ground cinnamon until the ball is coated. Place the balls on the cookie sheet and let them chill for about an hour or so, until they are firmer. *We hope you enjoy our Recipe of the Month selections on MS Conversations. Just remember: these entries may not necessarily be a part of an MS-specific diet; these are simply recipes compiled from MSAA staff and friends either from their own family recipe collection or based on recipes we think you might enjoy. As always, make sure to consult your doctor about any food or nutrition questions as they relate to your MS.